This week, Kate gets passionate about her gratitude practice and Doree discusses how dressing up for the day makes her feel better inside and out. Also, they look back on their 2-month intentions and get ready to set some additional long term goals. Later, Kate and Doree welcome author Glynnis Macnicol (No One Tells You This) who talks about leading a fulfilled, happy life as a single woman without kids, going through the pain of caring for a ailing parent, and the skin-saving magic of lemon water. 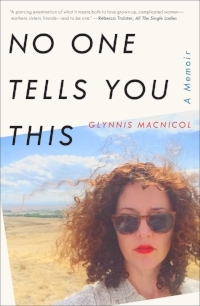 You can follow Glynnis at @GlynnMacN on Twitter. Click here to listen to this week's episode. Tradlands – For ethical and sustainable clothing you can wear every day, visit Tradlands.com/Forever35. Enter Forever35 at checkout for 20% off your order. Casper – Expert designed products to help you get your best rest. For $50 off select mattresses, go to Casper.com/Forever35. Hello Fresh – For $30 off your first week of HelloFresh, visit hellofresh.com and enter promo code Forever35. Thrive Market – Visit ThriveMarket.com/Forever35 for $20 off your first 3 orders of $49 or more + free shipping.